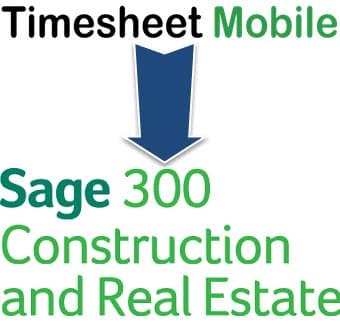 Now you can easily import Sage timesheets from Timesheet Mobile to the most widely used software for construction job costing, payroll, estimating, and project management. Sage 300 Construction and Real Estate, formerly Sage Timberline Office, has been trusted by construction and real estate professionals for over 40 years. Sage 300 Construction Job Cost enables construction and trade businesses to easily monitor, analyze, and report on construction project data. By integrating Timesheet Mobile Sage Timesheets, labor hours are accurate and easily included in job costs and payroll reports. 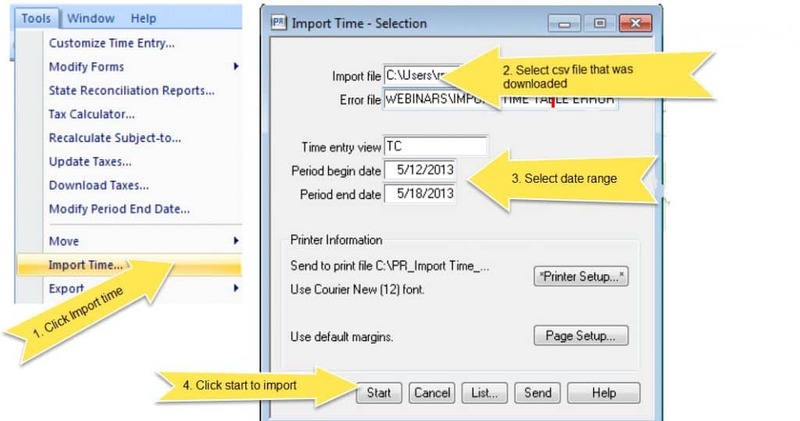 Once you approve your sage timesheets and create the csv file, import it to Sage 300 Construction and Real Estate, formally Sage Timberline Office. See below. With Timesheet Mobile, workers can track labor hours and locations from anywhere and from any device, including web browser, Android app, iPhone app, or dial up IVR. In a few easy clicks, approved employee timesheets are imported into Sage 300, where it’s ready for fast, accurate payroll. Billable time is tracked for customers, jobs, projects, and tasks for fast invoicing. Automate your time tracking, no worker locations and eliminate manual time entry.